You may know Frank the Frenchie through his ultra famous dog bro, Manny, who we recently interviewed. 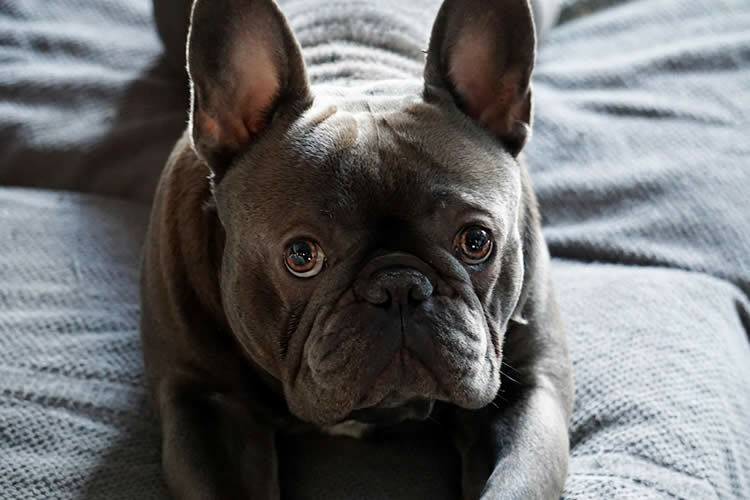 Frank is a celeb in his own right, however, and we were honored to get to chat with this adorable blue Frenchie. Sully: What’s your favorite part about being a celebrity dog? Frank: I am? I thought just my brudder Manny was the famous one. Cool!!! I do get extra snacks when Mom or Dad point their phone at me, so that’s cool. Sully: I think I look like George Clooney! What celebrity do you look like? 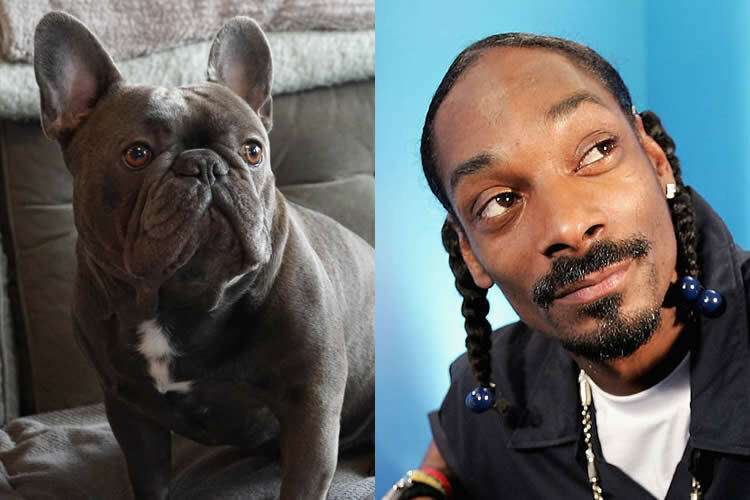 Frank: Snoop Dogg. He’s chill, quiet, and really cool like me. Manny got to meet him once, I’m jealous. Sully: What’s the craziest thing you’ve ever done to get a treat? Frank: Oh man, I jumped up on the coffee table one time to get closer to the treat, but all I got was yelled at and my treat was given away! I’ll never do that again! Sully: I like to sleep on top of the couch just like kitties. Where’s your favorite place to sleep? Frank: My cage. My humans leave it open for me so I can go in and out whenever I want. I like to be alone so I suckle my toys. I MEAN, read, I like to read. Ugh, that was embarrassing. Sully: What’s your favorite thing to bark at? Frank: Weird things like sounds and plastic bags blowing in the wind. Sully: If you could have one superpower, what would it be? Frank: I would move things with my mind so I can steal all the snacks! Sully: If you could wave a magic wand, what would you wish for? Sully: I love rotisserie chicken. What’s your favorite human food? Frank: Ahhhh, I’m allergic to chicken! And several other things, but I do like blueberries! Actually, I flippin LOVE blueberries, especially frozen ones! Sully: What’s the best and worst part about having a famous brother? Frank: He leaves a lot, but he does bring us treats when he comes home! Sully: What do you love most about ? Frank: He has a heart of gold! He loves to help animals and humans in need and makes them happy. Wrooooof! I was rescued from Noah’s Bark Rescue. I’m originally from South Central L.A. where I was found in a box in a parking lot with my littermates. Straight outta Compton! Nowadays, I spend my time napping and working on Sullyburger.com and get to interview awesome anipals like Frank the Funny Frenchie!